VoGoP is a platform that enables students and teachers to share their knowledge with other students and teachers. In this platform students will be able to follow their teachers and other students those are registered to VoGoP platform. VoGoP platform is not only a sharing of vocational good practices but also a social platform like facebook and Pinterest. Students will spend very good time while they learn at their own pace. They will learn from the teachers and the students that they haven’t seen before. So, VoGoP destroys the disadvantages of being in the rural area or being out of schools. In this aspect borders don’t matter anymore either for students or teachers. All the teachers and students in vocational high schools in Europe will have the chance to share their products as videos, pictures and comments by using the VoGoP platform and the other teachers and the students who are the members of VoGoP platform will see the their dream vocational works’ programming codes and production videos via VoGoP android, ios and windows application. By VoGoP application, new applications will be developed which will work in IOS, Android and Windows operating systems. Thanks to this application, first the vocational high schools from our partner countries then the vocational high school students from all over the world will make both visual and software sharings via VoGoP application that they can download to their mobile phones. With this application, we will improve an application which will be used in Europe and in the world continuously. Partner organizations will contribute to VoGoP to be prepared according to their own area of specialization. Every partner School/organisation will contribute according to their expertise and the departments which they have. 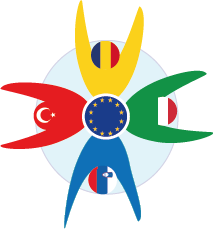 For instance, Mehmet Erdemoğlu Vocational Highschool will contribute with its code programming capasity while Grm Novo mesto - center biotehnike in turizma will share generally about tourism and bio technique etc. All partners will work in their own languages effectively as all of their languages will be in our application. The vocational schools from Turkey and our partner’s provinces will communicate on VoGoP by sharing both the programming codes of the products they’ve produced and files such as videos, photos. All Students and Teachers in Vocational Schools will be able to download this application to their tablets, smart phones and computers. They can share all about their daily works, products and codes. There are no such platform to this extent in which vocational and technical works are shared. Because of this lack, there is a need to that application and it is added to our project as an intellectual output.